This article is going to tell you about the Best Photo Editors For iPhone & iPad . If you are a creative iOS user and love to edit photos, you would like these apps. In this article, you can see some selected #photo editing apps for iPhone and iPad that come with tons of features. With the help of these apps, you can create photos like professionals. Now let's see the list of useful image editors. 1. 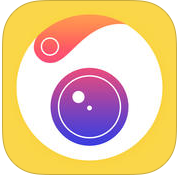 PicZone- Editor & Collage Maker ( #iPhone & iPad ) - PicZone is one of the best image editing apps on the App store that comes with more than 10 useful tools. With the help of these tools, you can easily turn your simple photographs into professional. If you are a creative person and love photo editing tasks, this app would be the best option for your device because the app includes lots of functions. One of the important features of this app is sticker option that comes with lots of useful objects such as different styles of eye glasses, hair styles, hats, moustaches, masks, funny faces, flowers and more. Very useful photo editing app for iPhone users. The app comes with lots of image editing options such as freeform collage making option, stylish image filters, image effects, photo adjustment tool, image cropping option, image resizing option, image blurring with focus option, image rotation tool, emoticons and more. You can also share your photos on your favourite social networks using the app. Recommended app for creative iOS users. 2. 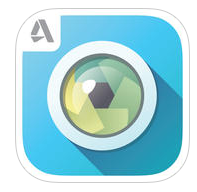 Photo Editor By Aviary ( iPhone & iPad ) - Aviary photo editor is one of the most popular image editors on the App store that allows users to edit, enhance and retouch their photographs easily on iPhone and iPad. The app includes lots of image editing options such as photo enhancer, photo filters, stunning stickers for creative users, red eye removal option, teeth whitening option, image cropping option, drawing and text adding option and many other useful tools. You can download this app free of cost from the App store but if you want to access full features of this app, you have to purchase some in app purchase packs. 3. 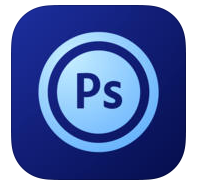 Adobe Photoshop Touch ( iPhone ) - Adobe photoshop Touch is a great photo editing option for professional photographers that comes with lots of image editing functions. With the help of this app, you can easily make stunning photographs like pro. The app includes tons of amazing features such as image combining option, popular photoshop options like layers, adjustments , filters, painting effects and more. One of the best photo editor for professionals. The app comes with lots of amazing options which help you make beautiful photographs. You can transform your images by using core photoshop features. Great app that lets you combine images, add professional effects and share them with your friends via Facebook and Twitter. 4. 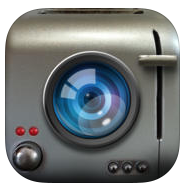 PhotoToaster ( iPhone & iPad ) - PhotoToaster is a featured rich photo editing app for your iPhone and iPad. The includes lots of features such as- more than 60 photo effects, over 80 filters & borders, image adjustment tool, more than 45 beautiful borders, powerful image editing tools and many other features. Powerful photo editor that allows you to give professional touch to your photos. If you want to beautify your photographs easily, this app would be very useful for your device. 5. Camera360 Ultimate ( iPhone ) - If you are looking for fully functional image editing app for free, Camera360 Ultimate is the perfect option that comes with tons of features like a professional app. With the help of this app, you can turn your iPhone into a powerful camera because the app comes with some powerful shooting modes. 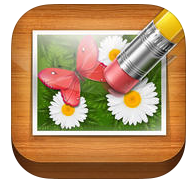 The app also includes lots of image editing tools and more than 200 free photo filters. 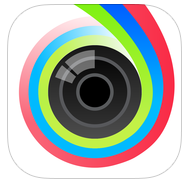 The app has more than 10 camera modes and photo editing tools that makes your iPhone a perfect camera app. Camera360 has lots of amazing features such as - auto facial detection option, night mode for low light shooting, natural skin touch up tool, scene templates for shooting, photo editor, collage maker etc. 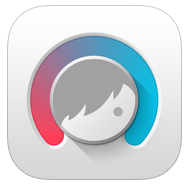 One of the best photo editors on the App store that is currently available free of cost. 6. Facetune ( iPhone ) - Facetune is a great photo editing app for iPhone that lets you beautify your images easily. With the help of this app, you can easily retouch your photos, edit them like professional and share with your friends. One of the best apps that can be used as a makeup app. The app includes lots of amazing features such as such as makeup tools to make your face more beautiful, image editor to edit photos, photo enhancement tool to make your images more attractive, hair salon to make stylish your hair, and some useful tools for beautiful skin and perfect smiles. Great app to make your face like a celebrity. 7. TouchRetouch ( iPhone ) - TouchRetouch is a unique image retouching app that helps you remove unwanted objects from any image. Sometimes we need to remove unwanted spot of photos, in this situation, you will need a good image retouching app that can do this easily. With the help of TouchRetouch, you can easily remove unwanted content or objects from your photos. Very useful app for every iPhone users. 8. 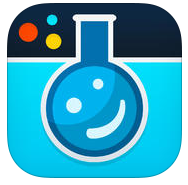 Pho.to Lab ( iPhone & iPad ) - Pho.to Lab is one of the best fun photo apps on the App store that can be installed free of cost on your iPhone and iPad. The app comes with tons of amazing fun photo effects, beautiful image borders, fun photo montages, stylish effects, fun face montages, templates and more. Very useful app to generate amazing photographs like professionals. 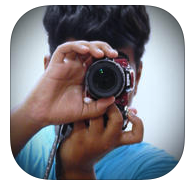 If you love photography, you would love using this app on your device. Great fun photo app for iOS users. 9. FX Photo Studio ( iPhone ) - If you are looking for a featured rich photo editor for professional editing purpose, this app must be in your list because the app comes with more than 194 photo effects and lots of other image editing tools. The includes tons of image effects, creative image editing tools, drawing tools, color splash tool, watermark tool and social sharing tool. 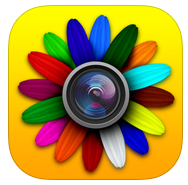 Very useful image editing app for iPhone users. 10. Pixlr Express ( iPhone & iPad ) - Pixlr Express is a completely ad free photo editing app that can be installed free of cost on your iPhone and iPad. 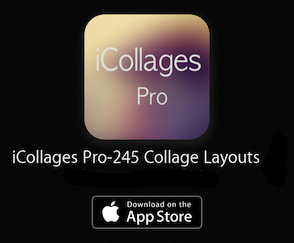 The app has almost all image editing features. If you need a free photo editor with lots of useful features, you must try this app on your device because the app comes with some amazing features which can be found only in few paid apps. The app also comes with a powerful photo collage maker that lets you create beautiful photo collages quickly. Recommended app for your device.